The Koiari clans that had received the alleged ‘missing K10 million’ have set the record straight by saying the funds were attained through a court process. The Narime, Omani and Behori clans received the national government grant of K10 million Land Mobilisation Funds in 2018 after their legitimacy was established by the National Court. Chairman of the Narime clan, Saroa Beredi, said the group that had blocked off the Sogeri road as well as shut off water at the Rouna stations carried out the act without the clan leaders’ knowledge. 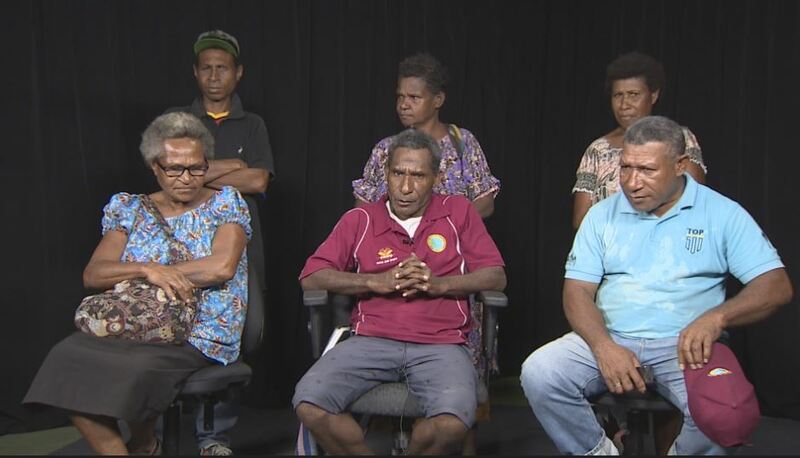 Whilst apologising to the residents of Sogeri, Beredi said the group’s actions were illegal. “They were clan members but they went and also enlisted the help of outside clans,” he clarified. “So we heard that Dairi Vele, Treasury secretary, will be meeting with them and disbursing funds. Before he does that, he needs to verify which clans they are from. They must reveal themselves. Beredi expressed the disappointment of the Narime and Omani clans, saying the other group had trespassed on their land to shut off the water valves. On Saturday, Secretary Vele met with the disgruntled group and told them that the last payment they had made had gone missing. The vice-chair of Narime Clan, Ruth Ureki, urged Vele to familiarise himself with their genealogy and history before making such comments. “I am not happy with this so now I want to tell him, if he wants to know more, he must come speak with us. The Narime, Omani and Behori live opposite the Bluff Inn. Ureki and Beredi, who are the duly appointed executives of Narime, visited this newsroom with Omani chairman and chief, Willie Abari, Behori chairman, Kevea Moio, and other members of the Rouna and lower Koiari clans. Meantime, it is understood that sometime today, government officials, including Vele, will be meeting with the group responsible for the water shutdown.